During the next several weeks, U.S. Department of Agriculture's National Agricultural Statistics Service (NASS) will conduct two major mid-year surveys, the June Agricultural Survey and the June Area Survey. The agency will contact over 12,000 producers across the region to determine crop acreage and stock levels as of June 1, 2018. "Two of the most important and well-known surveys NASS conducts are the June Agricultural Survey and June Area Survey, due to the widespread and significant impact of their results," explained Bill Meyer, director of the NASS Mountain Regional Office. "When growers respond to these surveys, they provide essential information that helps determine the expected acreage and supply of major commodities in the United States for the 2018 crop year. Results of this survey are used by farmers and ranchers, USDA, businesses, exporters, researchers, economists, policymakers, and others who use the survey information in making a wide range of decisions that benefit you as a producer." Data for the June Agricultural Surveys are gathered by NASS via the Internet, mail, phone, or in-person interview. For the June Area Survey, trained NASDA enumerators representing NASS visit select tracts of land and interview the operators of any farm or ranch within that selected tract. Growers are asked to provide information on planted and harvested acreage - including acreage for biotech crops and grain stocks. Additionally, the survey collects data on livestock inventory, cash rents, land values, and value of sales. "NASS safeguards the privacy of all respondents and publishes only state- and nationallevel data, ensuring that no individual operation or producer can be identified," stated Meyer. 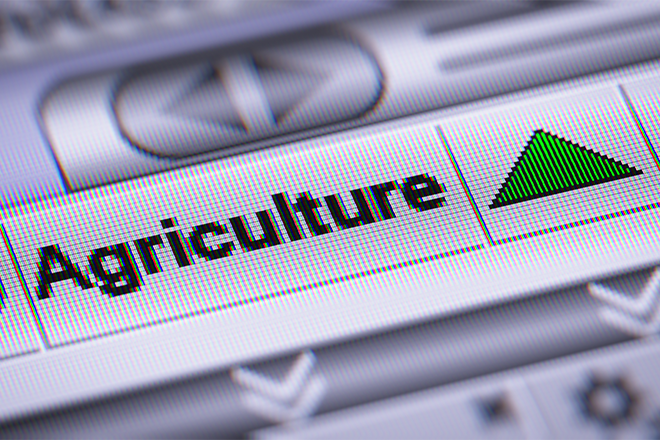 "We recognize this is a hectic time for farmers and ranchers, but the information they provide helps U.S. agriculture remain viable and capable. I urge them to respond to these surveys and thank them for their cooperation," said Bill Meyer. NASS will analyze the survey information and publish the results in a series of USDA reports, including the annual Acreage and quarterly Grain Stocks reports, both to be released June 29, 2018. Survey data also contribute to NASS's monthly and annual Crop Production reports, the annual Small Grains Summary, the annual Farms and Land in Farms and Land Values reports, various livestock reports, including Cattle, Sheep and Goats, and Hogs and Pigs, and USDA's monthly World Agricultural Supply and Demand Estimates.